Our consultations told us that Football Radar are disrupting an industry built on simple and often misleading stats, and that challenging the norm with a new level of intelligence is truly redefining the rules. 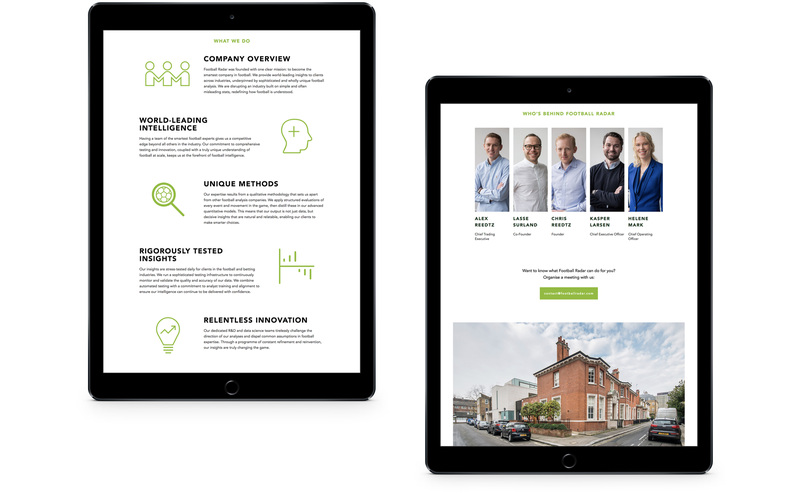 From here our brand story of “We’re changing the game” helped to set the bar for their highly talented staff of over 180 programmers and consultants, whilst setting a clear external message for existing customers and any target audiences of the future. 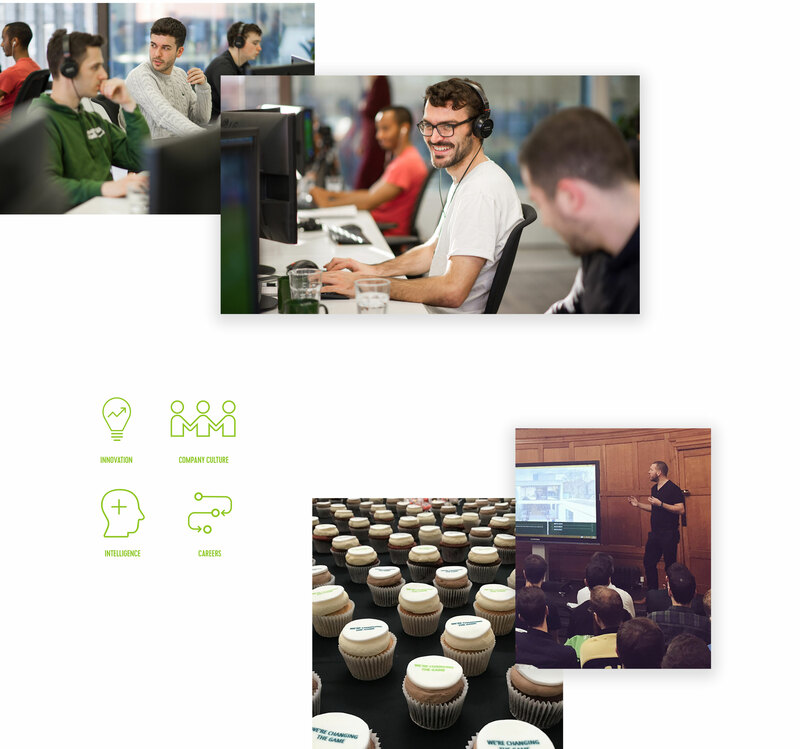 Sales workshops and video interviews helped articulate how Smarter football analysis can provide a game-changing experience for their clients, then lastly we also got inside the organisation to help develop the internal culture and ensure the brand shift was articulated consistently. 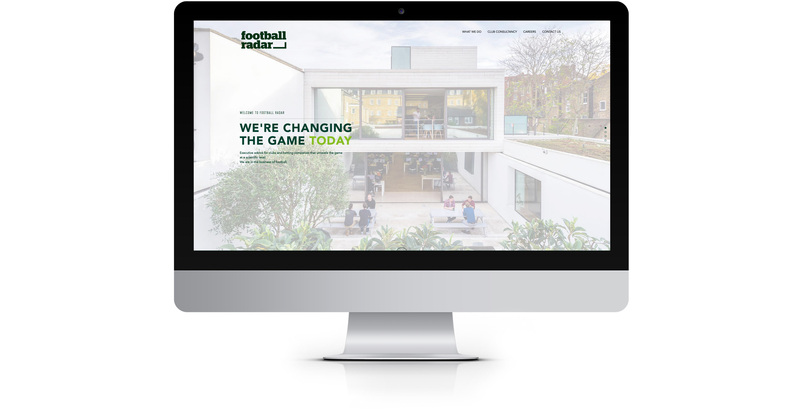 The game-changing narrative was then rolled out across everything from their website to sales presentations, with touches such as a time-sensitive homepage helping to show that this team works around the clock on over 40 international leagues and championships. This story was launched to their team with much fanfare at Football Radar HQ to help power a fresh new chapter in them dominating the global business that football has become.